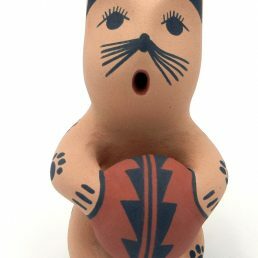 Every piece of Native American Indian pottery on our website is authentic—handmade by Navajo, Hopi and other New Mexico Pueblo Indian artists. 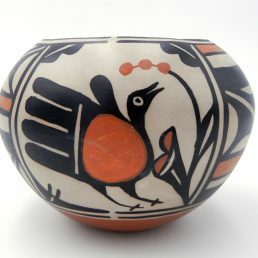 Our experience in buying and selling Native American Indian pottery has allowed us to build relationships with the artists and develop a keen eye for quality. 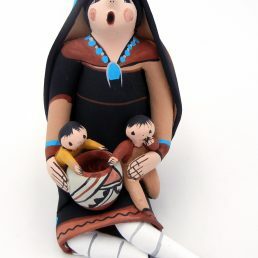 We are happy to pass along our expertise to aid you in your decision to build your collection and more fully experience the benefits of owning authentic Native American Indian pottery and the magic of Southwest art. 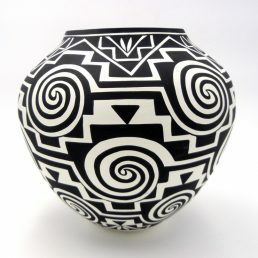 Palms Trading Company can make the statement that all our Native American Indian pottery is authentic because we know the artists and we buy directly from them. 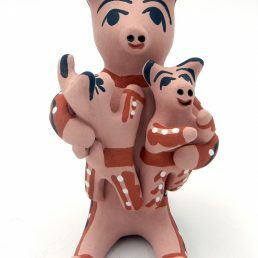 Browse Handmade Pueblo Pottery here! 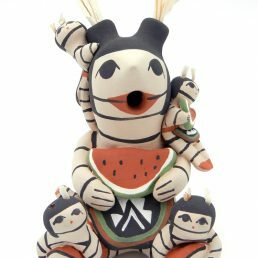 Occasionally, we are also able to procure collectible pieces from past artists like Hopi Indian pottery artist Frogwoman. 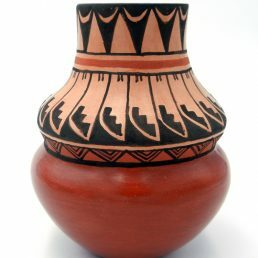 Whether we are buying Native American Indian pottery from an established or a promising artist, the knowledgeable staff at Palms Trading Company knows what to look for to determine a piece’s authenticity and value. One major clue as to a pottery piece’s origin—hand coiled or poured (ceramic)—is evidence of hand smoothing on the inside of the vessel. Artists are painstaking in their attention to detail to make the piece’s etched or painted design and finish perfect. But hand coiled vessels require human hands to shape the clay, and the prints inside are proof of the process. The color of the vessel also tells us something about the pottery’s origin. 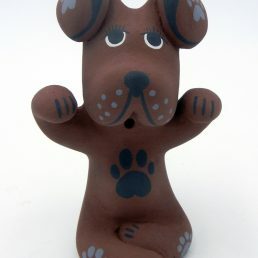 A milky white color is often characteristic of ceramic clays. 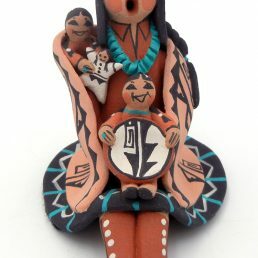 Earth clays, those used in traditional Native American Indian pottery, range from an off-white to a brown color (if uncoated with pine pitch or other finish). 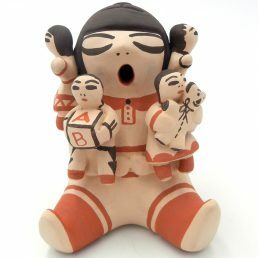 The Native American Indian pottery available on the website is just a small sample of the huge collection at Palms Trading Company (our larger collection contains ceramic pieces as well). But if you can’t come to the store to peruse our authentic pottery collection, our personal shopper service can help you find just the right piece. To get started or to ask questions, please contact us.